Dr Aust is into rhyming at the moment. This is in part because the Aust-mobile (a twelve-year old tin box on wheels with the absolute minimum of features) finally gave up the ghost a few weeks back. The clutch started making strange groaning noises, and was diagnosed as terminal, and the gearbox is apparently also on its last legs. As result I have been travelling to work and back each day on our wonderful (note: irony) local public transport system, after a gap of nearly a decade. I now get 40 minutes* each way, daily, to read a book (too much paper-folding to read a broadsheet, the Metro is too brain-numbing to count as a newspaper, can’t face working), or to do some thinking. Anyway, one of the more relaxing ways I have found to pass these journeys is to try and think up lyrics to comic (more specifically, parody) songs. But who to write them about? Well, recently I was thinking it had been a while since I wrote anything about our friends the Nutritionistas. And then I saw this amusing – if rather depressing – piece about an Old Friend of the BadScience Blogosphere who is something of a National Nutritionista celeb. The final piece of the jigsaw fell into place when my father, while visiting last weekend, told me that he was once in the chorus for a student production of Gilbert and Sullivan’s H.M.S. Pinafore. G and S were rather good at puncturing pomposity and sending up those with inflated ideas of their eminence and importance. The particular scene that swam into my mind’s eye on this occasion was this one from Act One of H.M.S. Pinafore. I have attempted a Nutritionist re-write. Scene: A conference held in the Institute of Optimistic Nutrition. An audience of worried looking people sit in anticipation. Many are clutching books with a picture of a bronzed and healthy-looking smiling man with short greying hair on the cover. A second chorus of younger people (THE GRADUATES) files on stage left. They are wearing white coats and smart trousers and carrying clipboards and glossy brochures. Their leader is a glamorous blonde (the NUTRITIONAL THERAPIST). Finally, THE NUTRITIONIST enters, smiling and waving, to applause from the CHORUS OF GRADUATES. He is clad in jeans and a collar-less denim shirt, and looks about 35. [Note: If the production budget stretches to this, he may be accompanied by a MINOR CELEBRITY, for instance an actress, model, has-been singer or serial footballer dater, The MINOR CELEBRITY does not speak or sing, but should look at THE NUTRITIONIST adoringly]. NUTRITIONAL THERAPIST (NT): And so do the graduates of his Institute! ALL: And so do the graduates of his Institute! The Graduates of his Institute! NT: And so say the graduates of his Institute! ALL: And so say the graduates of his Institute! NT: Supported by the graduates of his Institute! ALL: Supported by the graduates of his Institute! And also by his clients who think it must be a science Institute! ALL: That schizophrenia is caused by what we eat! That he now is a Nutritional Authority! When it then awarded me a very special degree! Sorry, no bad science trashing this week – a bit of scientific historical rambling instead, reflecting another of my part-time interests. Probably too serious, too. I blame the clocks going back – pesky SAD. The recent plethora of (often rather good) TV and radio programmes commemorating the 90th anniversary of the end of World War One set me to thinking this week. What is the link between the WW1 trenches, a best-selling modern novel and a pretty good film, and the history of double-blind trials? The answer is a man – William Halse Rivers FRS (1864-1922), Gold Medallist and Croonian Lecturer of the Royal Society, scientist, ethnographer, founding father of British anthropology, psychology and psychotherapy, Cambridge don, physician, wartime Royal Army Medical Corps doctor and author of a key early account  of treating ”war neurosis” – shell shock as they might have said then, post-traumatic stress disorder (PTSD) as we would say now. Rivers died comparatively young (58), from an acutely ischaemic bowel. He fell ill while alone, and by the time he was discovered it was too late to operate. He was much mourned by his scientific colleagues – for instance, the then President of the Royal Society, the Nobel Laureate Charles Sherrington, referred to Rivers’ death as “cutting short in the fullness of his activity and powers a psychologist and ethnologist of exceptional significance”. Rivers was also mourned by the many young officers with “war neurosis” who he had helped at the Craiglockhart War Hospital near Edinburgh, notable among them the writer and poet Siegfried Sassoon. It is this episode in Rivers’ and Sassoon’s lives that has made Rivers famous again. Their relationship as doctor and patient features centrally in Pat Barker’s novel Regeneration. (1991) and the 1997 film of the same name, aired again recently on the BBC digital channels, in which Jonathan Pryce portrays Rivers. As already noted above, Rivers’ career took in an amazing range of disciplines. His role in the instigation of double-blind trials comes from one of the less well-known bits, his researches into the effects of caffeine and alcohol on muscle fatigue. This work was carried out around 1906-7 in Cambridge, and is described in a 1907 paper in the Journal of Physiology  and in Rivers’ 1908 Croonian Lectures to the Royal Society . Rivers had been appointed to a Cambridge University lectureship in ‘physiological and experimental psychology’ in 1897, and worked in Cambridge for the rest of his career, barring anthropological expeditions and his wartime work. As the job title suggests, Rivers’ interest was in the interplay of the physiological and the psychological. This can be seen in his interest in the effects of alcohol, where the measured “physiological” changes in a subject’s exercise performance were clearly heavily influenced by his psychological state and reactions. In addition, there was a possible psychological effect on the experimenter, who might bias the results by, for instance, being more encouraging and enthusiastic if he knew the experiment was using the drug rather than the control. “Each experiment was prolonged over a number of days, on some of which a dose of caffeine was taken, and on others a dose of the control. Both the caffeine and control mixtures were in most cases prepared for us by Dr W. E. Dixon for whose kind help in this respect we are very greatly indebted. Walter.E. 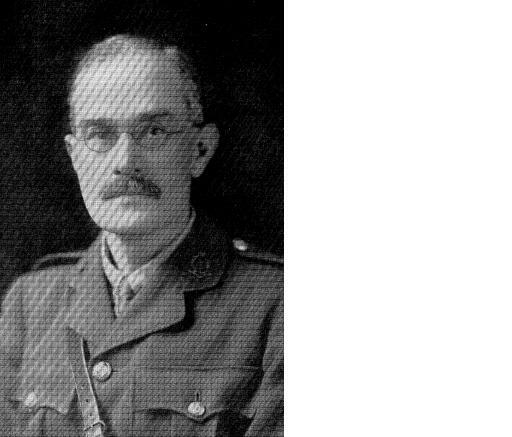 Dixon FRS (1871-1931) was a famous early British pharmacologist who you can read about here. Dixon shared River’s interest in disentangling the psychological and physiological aspects of the effects of things like alcohol. Gentian was presumably used because it has a strong bitter taste, mimicking the bitterness of caffeine; Gentian is one of the main flavours in Angostura Bitters, a fairly loathsome herbal concoction used to this day in making cocktails. For enthusiasts of British Imperial Tradition, Angostura is one of the ingredients in the British Naval officer’s traditional Pink Gin. Rivers and Webber’s experiments with alcohol used a similar double-blind placebo design, with the alcohol, or (placebo) control, again prepared by a third person and with the experimenter and subject (Rivers and Webber alternated in these roles) not knowing which was which. Disguising the taste of alcohol required a more complex concoction containing capsicum, (hot chilli pepper extract), cardamoms, chloroform and peppermint. What this would have tasted like I cannot imagine, but it must have been quite something. So does this mean Rivers would have been a fan of modern alternative medicine, with its enthusiasm for “Ancient Healing Wisdom”? Personally I think not. Rivers was clear that in all his many activities he tried to apply the best of the scientific method as it stood at the time. In the passage above he is saying that “ancient healing wisdom” is based on a clear and structured set of beliefs. He is not saying that these beliefs are true, or that the practises work. Indeed, I suspect Rivers would have believed that any effectiveness of these methods depended on suggestibility, and particularly the patient’s and healer’s shared belief. This shared belief is culturally specific; a traditional healing practise would have a psychological effect dependent on its setting and culture, not due to any “intrinsic power” of the actual healing method. So what Rivers is saying here is nothing like the “it is traditional and therefore it is just as good as the modern scientific stuff” view popular with modern Alternative Reality types. Rivers’ treatments of the shell-shocked officers were psychotherapeutic in nature – “talking therapy” – and Rivers was clearly aware of, and fascinated by, the interplay between the physiological and psychological side of medicine and treatment. In this his thinking somewhat puts me in mind of modern medical social scientists who emphasise ”Health_Beliefs” as part of understanding the process of treatment, and the perception of how well it is working. “As medicine has progressed and has been differentiated from magic and religion, [the] play of psychological factors has not ceased. – Rivers, final Fitzpatrick lecture, 1917. Rivers would doubtless have found modern psychological therapies, like Cognitive behavioral therapy (CBT), fascinating. A bit fancifully, I would guess that a Rivers re-born in the modern age would also be fascinated by contemporary research into the placebo effect, in all its different manifestations. I like to think that, faced by modern Alternative Therapy, Rivers would want to insist on a clear-headed scientific discussion of the role played by beliefs and suggestion. He would certainly have insisted on the need to design experiments and trials rigorously to take account of, and where necessary exclude, such effects. After all, before one can study where physiology and psychology interact, one needs to make the effort to be able, as far as possible, to tell them apart. This is as true now as it was when Rivers was doing his caffeine and alcohol experiments a century ago. Rivers is not much remembered these days for his pioneering use of the double-blind experimental design, though he does get an honourable mention for it over at the James Lind Library site. And while Rivers’ role as a founder of modern British psychology and ethnology is well-known in academic circles, it probably does not go far beyond that. Perhaps fittingly, given the affection in which Rivers was held by so many of those he came into contact with, the aspect of his life that has given him his most lasting memorial was the wise and concerned doctor and therapist, helping his Craiglockhart patients cope with their war nightmares and flashbacks. Apart from Pat Barker’s fictionalized account, Sassoon and his friend Robert Graves both wrote about Rivers in their respective memoirs , and Sassoon made clear that he felt Rivers had saved his life –as the poem below, written many years after the war, attests. It is not a terribly good poem, but the last couple of lines of each stanza give a sense of the debt Sassoon felt he owed Rivers. Finally, in a discussion a few years back in the British Medical Journal about “portrayals of doctors in fiction that would be good role models”, the Rivers character portrayed in Regeneration was mentioned several times. Which strikes me as a pretty good way to be remembered. And his life’s work, in me and many unfinished. 1. Rivers WHR “The Repression of War Experience” Lancet, XCVI., pp. 513-33, 1918. The article can be found on the net here. 2. Rivers WHR and Webber HN. “The action of caffeine on the capacity for muscular work” Journal of Physiology 36: 33-47: 1907 (August). 3. Rivers WHR. “The influence of alcohol and other drugs on fatigue”: Croonian lectures 1906” London: Arnold, 1908 Some pages from the lectures can be read.here. 4. Rivers WHR. “Medicine, Magic and Religion” Fitzpatrick Lectures 1915, 1917.. Lancet 1916; i: 59-65, 117-123; 1917;2: 919-23, 959-64. Sorry to have been off-line for so long. Pressure of work, and other not-quite-day-job writing projects with recent deadlines. Not to mention half-term holiday, teething/colicky Baby Aust, and intermittently manic Junior Aust, who is having a “You-Parents-will-PAY-for-having-another-child-apart-from-me” phase. So blogging is slightly back-burnered. The ideas are there… it’s just the time to finish them, as I think I warned in the one-year round-up. Anyway,apologies if today’s snippet is a bit short, slight, and Grumpy Old Man-ish, and not very Bad Science. Well, as part of the day job, I have been tracking down useful bits of free animation that can be used to help with teaching my main subject of physiology. It turns out there are some pretty useful ones… and some not so useful. The one I want to tell you about came from a site which says it provides “Professional Resources for Teachers”, and this particular animation is supposed to be directed at A level Biology students. The animation is for the cardiac cycle, and can be found here. If you want to view it, click “play”, close the obtrusive “YOU MUST PAY!” window, and click “play” again. You will find an animation of the cardiac cycle – the chambers of the heart filling and emptying, and valves opening and shutting. WARNING – it has a rather too loud voiceover in a very authoritative voice. The words “systole” – usually used to refer to ventricular systole, the phase of your cardiac cycle where your ventricles, the big chambers, are contracting to eject blood – and “diastole” – referring to the time when the ventricles are relaxed and filling up with blood – are pronounced wrongly. In the voiceover, systole is pronounced strictly as written – “sys-toal” or “sys-tole” – rather than the correct “sys-toe-lee” (which rhymes with “fiscally”). Similarly, diastole is pronounced “die-as-tole” rather that “die-as-toe-lee”. Well, you might say, so what? Only pompous grumpy old farts like Dr Aust insist on correct pronunciation these days. It is clear what the word is, pronunciation regardless. For generations, medical school teachers have been teaching medical students (and students from other health-related and bioscience degrees) to say “systole” and “diastole” with the correct pronunciation. We aren’t nasty about it, and we don’t publicly humiliate people – we just give them the correct pronunciation, if they don’t already know it, and everyone is happy. So why aren’t I happy here? Well, because this is a ”teaching package”, The site suggests it is a specialist resources for Maths and Science. For any teachers using this to teach A level Biology, the students they teach will be my next lot of volunteers, or clients, or whatever we are calling them this year. And this might be the computer package their teachers use to teach them about the mammalian heart. But apparently, no-one involved in producing this package knew enough to know how to pronounce the words properly – or, at least, whoever was in charge wasn’t paying enough attention to detail to tell the voiceover artist how to say the word correctly. But someone couldn’t be bothered. Or was in too much of a hurry. At which point you might think – well, if that’s how careful they are (or aren’t), what else might they have got wrong? Finally, just to show I’m using the Web-technology to the full (not), how about a poll?